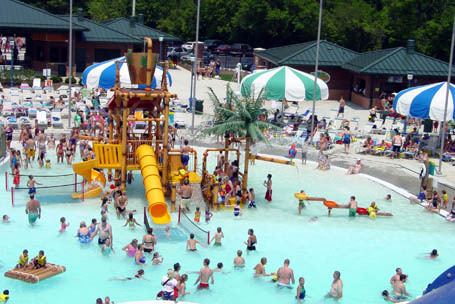 In 2004, Counsilman-Hunsaker, in association with Sebree Architects, provided aquatic design expertise for the Town of Plainfield with a new recreation and aquatic facility. 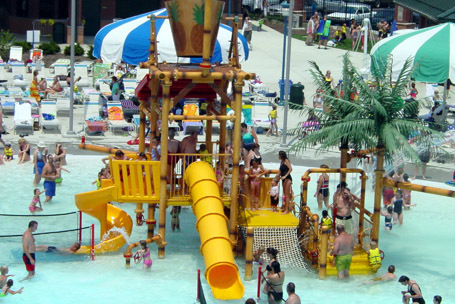 The facility includes an indoor leisure pool as well as an outdoor waterpark know as Splash Island Aquatic Center. 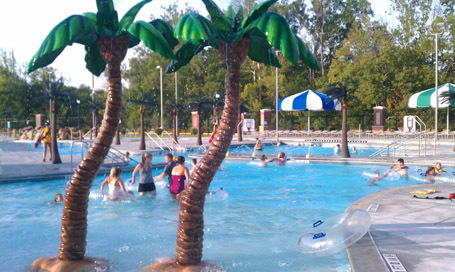 The concept was to create a highly-themed municipal family aquatic center with play features for families of all ages. In May 2012, Counsilman-Hunsaker, in association with Banning Engineering, completed an addition to Splash Island with a new 900 ft. long lazy river. Rock waterfalls and coconut themed tipping buckets also enhance the river, allowing patrons to cool off while floating. 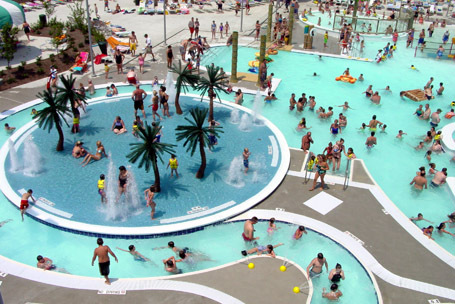 In addition to the lazy river, a water basketball and volleyball area was provided within a dedicated area of the new lazy river.